the U.S. desire for loose understandings to avoid any limitations on "freedom of action." In 1958, British Prime Minister Harold Macmillan sought something more formal than a communiqué. Eisenhower agreed to that, but he, like his predecessor and successor, never diverged from the basic premise that consultation would depend on the "circumstances at the time" and that "every possible step" to consult would be taken. The United States would not agree to a veto on any use of its nuclear forces, even those stationed in the United Kingdom, if it deemed it necessary to launch a speedy retaliation in response to a sudden attack. This was an element of unilateralism that U.S. presidents always found desirable and necessary. Nevertheless, because of the great value placed on the alliance with London, State Department officials realized that the understandings were necessary because of British "apprehension over possible consequences …of independent action by the United States-either because we might not come to its defense in time or because we might involve it in action initiated by ourselves." Changes in the understandings on nuclear weapons use were generally a matter of British initiative. As nuclear deployments changed the Prime Minister would write to the President on possible modifications in the language. For example, when the British agreed to host U.S. nuclear missile-launching submarines at Holy Loch, Macmillan asked that the understanding apply to them as well. 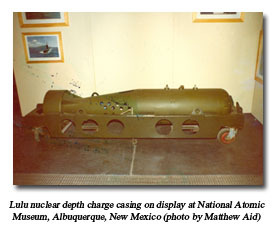 When the United States, the British, and the Netherlands agreed that U.S. nuclear depth bombs would be stored in the United Kingdom for use by the Dutch navy, Prime Minister Wilson asked President Johnson for changes in the language to reflect the latest development. U.S. presidents, so far as it is known, always agreed to proposed revisions. In the early 1950s, the United States applied the same understanding to the Canadian government in light of U.S. plans to launch nuclear strikes from air bases in that country. Moreover, under the U.S.-Japan Security Treaty, if the United States wanted to deploy nuclear weapons on Japanese territory in a wartime emergency, it would have to make a request to the government. Otherwise, the U.S. government had broad freedom of action to use nuclear weapons in a crisis. (Note 5) Key allies and governments hosting U.S. nuclear weapons stockpiles, however, sought limitations through nuclear weapon consultative arrangements. In 1962, the U.S. and NATO allies approved the "Athens Guidelines" that included a U.S. and a British commitment to consult with the alliance on nuclear use decisions anywhere in the world "if time permits." Moreover, the Johnson administration signed a limited consultation arrangement with West Germany in the fall of 1968. The end of the Cold War brought major changes in the U.S.'s nuclear weapons posture overseas. Not only were many land-based weapons withdrawn from Western Europe, the U.S. Navy withdrew its naval nuclear weapons from foreign bases, including the depth bombs stored in the United Kingdom and Bermuda. Moreover, in 1992, the United States closed the U.S. naval base at Holy Loch because the long-range Trident submarine-launched ballistic missile (SLBM) did not need berthing facilities there. 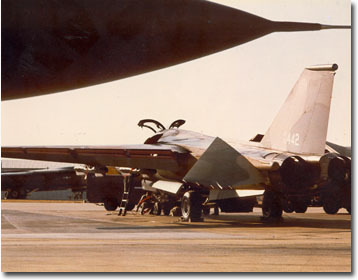 Nevertheless, the U.S. Air Force continues to store nuclear weapons at Lakenheath as well as at several bases in West Germany. (Note 6) In light of the continued U.S. nuclear presence in Western Europe, the understandings reached during the Cold War probably stayed in place during the 1990s, undoubtedly modified to reflect changes in deployments and international conditions. With all of the uncertainties about WMD, "rogue states" armed with long-range missiles, and trans-Atlantic worries about U.S. policy against terrorism, it is likely that the British and the Germans have sought to preserve the understandings on nuclear weapons use. Whether the Bush White House has been responsive on this point remains a secret that will be disclosed some day. Prepared by Gordon Arneson, whose role in nuclear policy matters stretched back to the Manhattan Project (Note 7), this document summarized the Truman-Atlee conversations during the latter's visit to Washington in December 1950. Arneson's description of the meeting and the enclosures record Truman's personal commitment to Atlee, the process by which Truman and his advisers tried to withdraw it, and the British refusal to accept a change in the meeting record. To ease British concerns about American policy, Truman and his advisers agreed to top level Anglo-American talks on the world situation, especially on the circumstances that could lead to the use of atomic weapons. These documents show the British effort to get a U.S. commitment on consultation and the complex U.S. reactions to London's quest. On the one hand, Air Force Chief of Staff Hoyt Vandenberg was suspicious that the British wanted an "implied commitment," on the other hand, Secretary of State Dean Acheson observed that this "was a life and death matter for the British and they … want to know whether we are sober and responsible." The final document, an excerpt from a memorandum of conversation between senior U.S. and British officials conveys the Truman administration's aversion to "any commitment limiting our sovereignty" (Paul Nitze) while seeking harmony of views between London and Washington: "We are just as loath … to contemplate the contingency of general war" (H. Freeman Matthews) so that the British realized that Washington officials were "sober and responsible." In June 1952, Prime Minister Churchill wrote Truman an urgent letter asking about rumored use of nuclear weapons to destroy dams at the Yalu River. Plainly apprehensive about such a prospect, Churchill wrote that using nuclear weapons "would be out of all proportion to Korean events and would upset the world in a way I cannot measure." U. Alexis Johnson, the Deputy Assistant Secretary of State for Far Eastern Affairs, laid the report to rest-Washington had no plans to bomb the dam or use nuclear weapons, although "Harry" responded formally with an explanation of why he had approved the bombing of a power plant. With the new presidential administration in Washington in power, Churchill and his Foreign Secretary Anthony Eden sought a reaffirmation of the private commitment that Truman had made to Atlee in December 1950. When Eden brought up the issue with Secretary of State Dulles, the latter refused and sent Eisenhower a lengthy background paper explaining why refusal was possible and necessary. Eisenhower also refused and like Dulles would only reaffirm the public commitment made by Truman concerning the use of bases. While the Americans wanted to maintain close relations with the British, limitations on "freedom of action" to wage war were impermissible. Moreover, arguing that nuclear weapons were just another kind of ammunition, Dulles and Eisenhower opposed the idea of special restrictions on their use. They also worried that other allied governments would find out and try to secure a veto on U.S. nuclear use: "there is no point in whetting the appetite of other NATO countries in this regard." Eisenhower and Secretary of State John Foster Dulles quickly agreed that Robert Murphy would represent Washington in talks with Patrick Dean. In this memorandum, Richard Breithut gave Murphy background on the history of the consultative agreements. At the end of his memorandum, he speculated why Macmillan had brought up the problem of consultations: "There is undoubtedly apprehension over possible consequences to Britain of independent action by the United States-either because we might not come to its defense in time or because we might involve it in action initiated by ourselves." While Breithut observed that "we can accept no limitation upon United States freedom of action," the high value of the alliance with London made it essential for American and British action to "be concerted to the fullest extent possible." Within a month, Dean and Murphy had prepared a report that they submitted to President Eisenhower and Prime Minister Macmillan. In 1997 the U.S. government's Interagency Security Classification Appeals Panel (ISCAP) released an excised version of the Murphy-Dean agreement in response to an appeal by the National Security Archive. The agreement enshrined the understanding about "circumstances at the time" that had been reached earlier in the decade. If circumstances permitted a conference call between the President and the Prime Minister, the agreement spelled out the process of decision that would occur under two different situations: 1) strategic warning (longer-term warning of attack) and tactical warning ("short warning of imminent attack derived from positive radar or other means"). Strategic warning could permit a decision to launch a preemptive assault on Soviet nuclear forces, although whether any warning would be certain enough to allow such a grave decision has been a matter of debate for many years. In the event of tactical warning, military commanders could launch forces under "positive control" (also known as "fail safe); thus U.S. and British bombers would fly to a "specified line" but would not pass beyond it without receiving definite instructions. The election of John F. Kennedy raised concerns in London; would the son of a notorious Anglophobe, Joseph Kennedy, create difficulties in Anglo-American relations. While relations with Eisenhower had sometimes been tense, he was fundamentally in sympathy with the idea of a special relationship with London. The British were especially apprehensive about preserving the agreements on nuclear use consultation, however ambiguous, past the Eisenhower administration. Thus, a month before Kennedy's inauguration, a senior British diplomat, Frederick Hoyer Miller, approached his counterpart, Livingston Merchant, about the problem of "how best to assure reaffirmation by the new President" of the "assurances" that Eisenhower had made to Eden and Macmillan. The British had in mind a letter to Eisenhower mentioning the importance of briefing the president-elect on the agreements as well as a letter to Kennedy, after his inauguration, asking for "confirmation that they remain in force." The British learned that they had little to worry about when Merchant informed Ambassador Caccia that Kennedy had agreed that the "understandings … would continue pending a prompt exchange" with Macmillan after his inauguration. The president-elect had no "misgivings" about the agreements but believed that the two leaders needed to review them. During their meeting, Merchant gave Caccia a two page paper that summarized the understandings that had been reached during the 1950s. This document would serve as the template for Anglo-American understandings on nuclear weapons use into the 1970s and possibly beyond. A few days after the inauguration, Macmillan wrote to Kennedy to follow up the latter's suggestion that "we … communicate … about these Understandings immediately after your Inauguration." Declaring that the agreements form an "essential part of the whole network of Anglo-American joint defense arrangements", Macmillan hoped that Kennedy would accept them and "renew in your own name the personal assurances on these matters given by President Eisenhower and President Truman." (Note 14) As Kennedy was considering the letter, Merchant learned from the British that Macmillan believed that a letter from Kennedy reaffirming the agreements would be satisfactory and that the paper that Merchant had given to Caccia earlier in the month "adequately reflects the British understanding of these past undertakings" except for a few points. On February 6, 1961 Kennedy wrote Macmillan a letter expressing his happiness to "confirm to you that these Understandings reflect the agreements in force between our two Governments." Kennedy transmitted the summary handed the British earlier in January with modifications proposed by the British. One was that the arrangements for "joint decisions" on strikes launched from bases in the United Kingdom would not include Bomber Command aircraft equipped with British nuclear weapons. Thus, the British sought freedom of action as well. Another modification left open the possibility that U.S. nuclear weapons in Britain not then assigned to NATO could be "assigned to a NATO commander in the future." (Note 15) The easy agreement that Kennedy and Macmillan had reached showed that the reaffirmation and modification of understandings on nuclear weapons use had become a truly routine procedure whenever a change of command took place in either London or Washington. With a new president, Lyndon B. Johnson, coming to power after President Kennedy's assassination, the matter of nuclear use consultation with the British prime minister inevitably surfaced. Ten days before Secretary of State Rusk was scheduled to attend a meeting of NATO foreign ministers, Assistant Secretary Tyler predicted that British Prime Minister Alex Douglas-Home (the Profumo scandal had forced Macmillan's resignation) "will shortly ask the President to confirm our existing commitments" on nuclear weapons use. Tyler advised Rusk to reaffirm the commitments and provided him with a memorandum (with documentary background) for President Johnson giving background on the understandings with Churchill, Eden, and Macmillan. By May 1962, the U.S. had deployed some 5,000 nuclear weapons in NATO Europe. Agreements with host governments, e.g., with Italy on the deployment of Jupiter missiles, gave them a veto over use, but the Supreme Allied Commander Europe (SACEUR) had effective power to use them in an emergency. (Note 17) Nevertheless, European members of NATO wanted more of a say in nuclear use decisions. While the proposed Multilateral Force (MLF) was, in part, designed to give NATO members some sense of participation in decision making on nuclear weapons, it never got off the ground. Also troubling European members of NATO was lack of knowledge of nuclear weapons as well as uncertainty about the durability of the U.S. nuclear commitment to NATO. Could Western Europe count on Washington to make nuclear forces available in a crisis? To address those concerns, among others, NATO Secretary General Dirk Stikker prepared a report in the spring of 1962 based upon his consultations with London and Washington. It concluded with a set of guidelines that included U.S. assurances about the availability of U.S. and British nuclear weapons, the provision of information on nuclear weapons to NATO allies, and consultations with the allies about nuclear weapons use. While consultation would not be possible if the Soviets launched an "unmistakable" nuclear attack on Western Europe, it would be in the event of a conventional attack or a smaller-scale nuclear attack. The Americans and the British also declared their intent to consult with the Council on the use of nuclear weapons "anywhere in the world," but with the usual loophole: "if time permits." Stikker also raised the possibility of a "restricted group" to establish multilateral political control over the use of nuclear weapons assigned to NATO forces, but that proposal inspired little interest. NATO ministers approved the guidelines at the famous May 1962 Athens meeting of the North Atlantic Council during which Secretary of Defense Robert McNamara gave a highly controversial and comprehensive exposition of U.S. strategy and the risks of nuclear weapons use. (Note 18) The records of this meeting include Dean Rusk's offer of sea-based Medium-Range Ballistic Missiles for a multilateral NATO nuclear force designed to give European members a voice in nuclear use decisions. Washington ultimately abandoned MLF-type solutions and interest turned to organizational solutions to give the Europeans greater knowledge of the complexities and dilemmas of nuclear weapons planning. By 1966, partly as a result of the influence of U.S. Secretary of Defense Robert McNamara, NATO had established the Nuclear Planning Group which became a central locus for formulating and assessing nuclear options for a NATO-Warsaw Pact confrontation. As Tyler had anticipated, when Rusk was in London British Foreign Secretary Butler brought up the subject of nuclear use consultation noting that the day before he had suggested to Douglas-Home that the latter write to Johnson about it. Rusk recommended that Johnson and the Prime Minister discuss the matter in more detail when they met in February. In the meantime, "the understanding which had existed between President Kennedy and Prime Minister Macmillan would continue." With the election of Labor Party leader Harold Wilson in late 1964, the nuclear use understandings were quickly reaffirmed. When Wilson wrote Johnson on December 8, the President quickly replied with a positive response: both of them had agreed to "reaffirm together the Understanding of our two governments." 20C: Memorandum to the Prime Minister, "Authorization for NORAD Use of Nuclear Weapons," 20 August 1965, carbon copy, with "Approved LBP [Lester B. Pearson]." The Canadians wanted quick resolution of the issue when foreign ministry officials learned, in July 1965, that the U.S. Air Force had transferred nuclear weapons for U.S. interceptors at Goose Bay despite earlier claims that Washington had no immediate plans to deploy weapons there. Unlike earlier nuclear deployments, however, Ottawa and Washington had not negotiated specific authorizations for the use of the weapons at Goose Bay which led foreign ministry officials to see a pressing need to finalize the consultation agreement. The Canadians hoped that a U.S. embassy staffer, Harold Shullaw, would provide information on President Johnson's authorization so that the two governments would be playing from the same score. On 17 September 1965 President Johnson and Prime Minister Pearson approved the consultation agreement as well as the authorization to CINCNORAD. As the memorandum to Prime Minister Pearson indicates, the Canadians had learned about highly secret U.S. predelegation arrangements: "We have been aware that the President, either officially, or on a personal and informal basis, had some time ago made an arrangement for prior authorization, to apply in emergencies." To ensure that U.S. and Canadian emergency arrangements for nuclear use by NORAD dovetailed, the State Department shared the language of President Johnson's authorization with the Canadians. Thus, the version that Pearson approved was essentially the same as Johnson's. The first years of the 1960s involved a huge expansion of the U.S. nuclear arsenal in Western Europe; by the late 1960s, Washington had deployed over 7,000 weapons in NATO Europe. The deployments would include W34 (Lulu) and B57 nuclear depth charges designed for anti-submarine warfare (ASW); they and thousands of other weapons would remain at depots in Western Europe until after the Cold War ended. (Note 25) Early in the 1960s it had been contemplated that ASW weapons assigned to the Netherlands's naval forces would be stored in the United Kingdom; in time of war, the weapons would be made available to Dutch naval air operating under the command of the Supreme Allied Command Atlantic (SACLANT). Plans for storing the weapons at a Royal Air Force Base at St. Mawgan (Note 26) were underway but the Anglo-American understandings did not include any arrangements for joint consultations on the release of weapons stored on behalf of other NATO countries. As this document shows, the British had expressed interest in including such weapons under the scope of the consultative arrangements. One skeptical reader of this document noted that the British wanted more than consultation: they "want veto on their use anyway." After consultations between U.S. and British officials, in August 1965 Harold Wilson raised with President Johnson the broader implications of storage at the Royal Air Force Base at St. Mawgan of nuclear depth charges assigned to Dutch naval aviation. He did this in two separate letters. The purpose of one was to update the February 1964 understanding by including more general language to take into account the fact of British custody of U.S. ASW weapons assigned to Dutch forces. Wilson suggested language changes and included a version of the "Understandings" paper with the proposed revisions. The other letter proposed that the release of the nuclear depth bombs to the Netherlands for wartime use "would be the subject of a joint decision taken by the President and the Prime Minister in accordance with the terms of the understandings" reached previously by U.S. Presidents and British Prime Ministers. Johnson did not send replies to Wilson for several months; complex Anglo-American negotiations on defense and the British sterling crisis probably accounted for the delay and Johnson's gall bladder surgery in October slowed the President's schedule. (Note 27) In any event, before Johnson replied to Wilson, a number of issues had to be hashed out. Not only would Johnson have to approve a SACLANT plan to disperse ASW weapon but the foreign policy bureaucracy would have to ponder how much the Dutch should know about the arrangements as well as arrange "low key" discussions with the British about the issues. These memoranda show the state of play before Secretary of State Dean Rusk discussed the Wilson letters with the President. Senior State Department officials recommended accepting Wilson's proposals. As for the Dutch, "the less said the better," but they would have to be told something "about the conditions under which the US and the UK are entering into storage arrangements" for the ASW weapons. Nevertheless, the Dutch should be told nothing about the basic understanding because "we have no wish to spread further the explicit commitment to the personal President-Prime Minister consultation which lies at the heart of the U.S.-U.K. Memorandum of Understanding." Johnson finally replied to Wilson's letters in November. In any event, with the letters, Johnson stated agreement with 1) Wilson's proposal that ASW weapons stored on behalf of the Netherlands could not be released for use without a "joint decision" by London and Washington, and 2) Wilson's proposed amendments to the memorandum of understanding on nuclear use consultations. Source: RG 59, Executive Secretariat Agenda for the Secretary's Luncheon Meetings with the President, box 1. As a front-line state in the Cold War, West Germany was the site of major U.S. nuclear weapons deployments during the Cold War--bombs, theater nuclear missiles, air defense weapons, and artillery. The deployments were so massive that by late 1964, Secretary of Defense Robert McNamara explained in a NATO audience that the "aggregate yield" of U.S. nuclear weapons stored on West German soil was "more than 5,000 times the power of the atomic bomb dropped on Hiroshima." (Note 28) For years, the United States had complete freedom of action in any decision to use the weapons and the West German government had become concerned about its lack of a role in top level decisions about their use. By late 1967, Bonn proposed to the Defense Department formal arrangements requiring its consent to any decisions involving the "selective" or limited use of nuclear weapons based in West Germany. Most of the documentation on this initiative remains classified or is incomplete. One of the documents included here is a one page excerpt used for cross-reference purposes by State Department records keepers; the complete document remains classified in its entirety in another file. The material that is open discloses the basic developments: 1) November 1967: West German initiative, 2) March 1968: completion of major negotiations, and 3) September 1968: exchange of letters between Johnson and Chancellor Kurt Kiesinger. (Note 28a) Compared to the arrangements with the British, the one with West Germany was substantially more limited; it did not give Bonn a say in decisions on the "general release of nuclear weapons" or all-out war. If, however, Washington sought to use nuclear weapons deployed on German soil "selectively", it would be required to consult Bonn. To facilitate consultations during a crisis, the two governments would agree to establish a hot line. The Athens Guidelines left Canadian and European members of NATO dissatisfied with imprecision in the consultative arrangements and in late 1968 a "Canadian-European" caucus in the Nuclear Planning Group Permanent Representatives proposed a new mechanism for alliance consultations on nuclear use. Responding formally to this initiative, Ambassador to NATO Harlan Cleveland observed that even "small mechanical issues" relating to nuclear weapons use had to be considered at the top levels of the U.S. government: "consultation is Presidential business." Nuclear weapons are a "form of military power whose use is reserved to the President by explicit legislation and repeated policy declaration." While Cleveland took it for granted that U.S. presidents needed flexibility on nuclear use decisions and that it was unwise to develop rigid or uniform consultative arrangements, he saw value in incorporating nuclear weapons use consultation into "broader crisis consultation procedures." Indeed, he believed that NATO had a variety of mechanisms and a wealth of experience from crisis simulation (e.g., High Level Exercises or HILEX) and crisis management that could be mobilized in a crisis. That said, he broadly criticized the arrangements proposed by the caucus because they did not "correspond to the real world" which worked horizontally, not vertically. If a crisis unfolded where nuclear weapons use became necessary, he believed that proposals would "occur to all [concerned] at the same time." 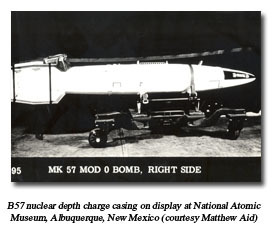 Nevertheless, while advice would be welcome, in the final analysis, the nuclear powers-the United States and the United Kingdom--would make the final decisions: "The views of all, and especially those to which special weight should be given [presumably NPG members or NATO members on the front lines like West Germany], should get to the nuclear power expeditiously." With a new administration coming into power in 1969, the question of the nuclear understanding appeared on the agenda although not as rapidly as under Kennedy and Johnson. While the correspondence and briefing papers remain classified, these reports document what happened. On August 4 Wilson wrote Nixon "suggesting reaffirmation of the traditional understanding." The matter was settled the next month when Nixon wrote Wilson that the understandings remained in effect. Like the arrangement with the British, the one with West Germany was "top secret" and neither the British nor the Germans knew that Washington had consultative understandings with both. Washington wanted it that way. Like the arrangement with the British, the U.S. side did not see any need to take initiative to reaffirm the one with West Germans but was willing to do if they asked for it. This exchange of cables (Note 29) hints at the Nixon administration's consternation that Helmut Schmidt, the defense minister for the new Social Democratic-Free Democratic coalition government led by Willy Brandt, had told his British counterpart, Dennis Healey, about the U.S.-West German understanding. Talks with West German officials in Bonn, including Schmidt, made it plain that the Germans regretted the disclosure to the British and agreed that knowledge of it should be "confined to a very small circle of top officials in each government." That the State Department worried that the embassy was not being sufficiently secretive about the matter comes through in the instruction in the last document to treat information on the nuclear arrangements as NODIS ("no distribution" except to specified officials) instead of the somewhat less restrictive EXDIS ("exclusive distribution") category. The change of government in the United Kingdom, from Prime Minister Wilson to Prime Minister Edward Heath, in June 1970, led to the usual discussions on nuclear use consultations. Haig's cable is slightly cryptic and the draft memorandum mentioned by Haig, or the cable from Deputy Secretary of State John Irwin, have not surfaced. By mid-December, Nixon and Heath had agreed on a consultation agreement that incorporated six amendments by the British. Although background documents remain classified, what prompted some of the amendments were to bring within the scope of the understanding a deployment of nuclear depth bombs at the U.S.-leased naval base in Bermuda. By the 1970s, with the Lulu nuclear depth bomb had been long retired the ASW weapon deployed in Bermuda would have been the B57 whose explosive yield ranging from 5 to 20 kilotons. (Note 30) Details on the timing, circumstances, etc. of this deployment are unavailable but it may have related to U.S. naval reactions to the expansion of the Soviet SLBM fleet during the 1970s. Certainly, the deployment was significant enough for Henry Kissinger to have maintained several folders on the "British-US Nuclear Matter (Bermuda Exchange)" in his office files. (Note 31) This excised document follows the structure of the 1964-1965 understandings, but document 31, released in its entirety, serves as a key to the excised portions. Only a few months after the Heath-Nixon understanding, the deployment of Poseidon SLBMs, more accurate than Polaris and with each missile carrying 10 multiple independently targeted reentry vehicles (MIRVs), changed the situation. U.S. plans to replace Polaris with Poseidon at Holy Loch led to British suggestions for modification of the basic understanding. This cable includes: 1) Nixon's letter to Heath affirming that earlier understandings on consultations over the use of Polaris missiles also applied to the Poseidon deployment, 2) the modified text of the basic understanding (with references to Poseidon and ASW weapons at Bermuda), and 3) a note from Secretary of State Rogers to the British Ambassador concerning the applicability of earlier understandings to the Poseidon deployment. With Heath's defeat in 1974 and the return to power of Harold Wilson in 1974, Anglo-American relations improved after some deterioration during the October War. During this meeting between Kissinger and Cabinet Secretary John Hunt, the two reached a verbal agreement on the nuclear use understandings, including the weapons in Bermuda, with letters of agreement to follow. Confirming the close London/Washington relationship on nuclear matters, Hunt and Kissinger agreed on British plans to test secretly "Super Antelope," a nuclear weapon designed for the Polaris missile, at the Nevada test site later in the spring. (Note 32) The discussion closed with discussions of Middle East peace negotiations and Kissinger's amusing account of his meetings with King Faisal of Saudi Arabia. 1. Speech by Lyndon Johnson at Detroit, 7 September 1964, Public Papers of the Presidents of the United States, Lyndon B. Johnson, 1963-1964, II (Washington, D.C.: Government Printing Office, 1965), 1051. 2. Stephen Twigge and Len Scott, Planning Armageddon: Britain, the United States, and the Command of Western Nuclear Forces, 1945-1964 (Amsterdam: Harwood Academic Publishers, 2000), 30-36. This is the most authoritative account of British nuclear policy and Anglo-American nuclear relations in the first decades of the Cold War. 3. U.S. Department of State, Foreign Relations of the United States, 1950, Vol. VII (Washington, D.C.: Government Printing Office, 1976), 1261-1262, 1462-1464; United Kingdom Foreign and Commonwealth Office, Documents on British Policy Overseas, Series II, Vol. IV (London, HMSO, 1991), 255, 310-311. 4. United Kingdom Foreign and Commonwealth Office, Documents on British Policy Overseas, Series II, Vol. IV (London, HMSO, 1991), 311; Twigge and Scott, Planning Armageddon, 26-27. 5. For the arrangement with Japan, see Lucius D. Battle to McGeorge Bundy, "Check List of Presidential Actions," 28 July 1961, at https://nsarchive.gwu.edu/nsa/NC/nuchis.html#usnhdp. The 1969 U.S.-Japan treaty reverting Okinawa to Japanese control included a secret agreement requiring the United States to consult the Japanese government if it wanted to base nuclear weapons on the island in an emergency. For more information on the Okinawa issue, see National Security Archive briefing book, Robert Wampler, ed., "Nuclear Weapons and Okinawa," at https://nsarchive.gwu.edu/japan/okinawa/okinawa.htm. For a fascinating account of the Kissinger-Waikaizumi backchannel talks on the Okinawa treaty see Waikaizumi Kei, The Best Course Available : A Personal Account of the Secret U.S.-Japan Okinawa Reversion Negotiations (Honolulu: University of Hawaii Press, 2002). 6. For the present situation, see Natural Resources Defense Council report prepared by Hans M. Kristensen, U.S. Nuclear Weapons in Europe: A Review of Post-Cold War Policy, Force Levels, and War Planning, at <http://www.nrdc.org/nuclear/euro/euro.pdf>. 7. For the Truman Library's oral history interview with Arneson, see http://www.trumanlibrary.org/oralhist/arneson.htm. 8. For an authoritative account of the U.S. nuclear presence in Canada during the Cold War, see John Clearwater, U.S. Nuclear Weapons in Canada (Toronto, Dundurn Group, 1999). The consultative arrangements are discussed on page 18. 9. For the Churchill-Truman meetings, see Klaus Larres, Churchill's Cold War (New Haven: Yale, 2002), 155-173. For the communiqué language see document 1. 10. Twigge and Scott, Planning Armageddon, 109-116. .
12. Ibid., 118-119, for more details on British concerns. 14. Macmillan to Kennedy, January 26, 1961, see document 13; also published in U.S. Department of State, Foreign Relations of the United States, 1961-1963, Vol. XIII (Washington, D.C., Government Printing Office, 1994), 1030. 15. Kennedy's letter mentions three modifications but only two are footnoted in the text; the third may have been a minor stylistic change. 16. The NATO "COSMIC Top Secret" documents reproduced here bear a series of annual year stamps because NATO security regulations required an annual mustering of highly classified documents; records managers had to stamp the documents to show that they had accounted for them. E-mail from Anne-Marie Smith, NATO Archives, 15 June 2005. 17. For SACEUR's control, see Marc Trachtenberg, A Constructed Peace, The Making of the European Settlement, 1945-1953 (Princeton: Princeton University Press, 1999), 169-170. For the agreements with Italy on Jupiter IRBMs, see Ray L. Thurston to B.E.L. Timmons, 16 October 1958, and Rome Embassy Despatch 1168, 2 April 1959, RG 59, Central Decimal Files, 1955-1959, 711.56365/10-1558 and 4-259 respectively. 18. For background on the Athens Guidelines, see Twigge and Scott, Planning Armaggedon, 174-180. For an account of McNamara's presentation and the NATO reaction, see Lawrence Freedman, Kennedy's Wars: Berlin, Cuba, Laos, and Vietnam (New York: Oxford University Press, 2001), 108-110. 19. Jacob Neufeld, Ballistic Missiles in the United States Air Force, 1945-1960 (Washington, D.C.: Office of Air Force History, 1990), 232-233. 20. For details on the Holy Loch memorandum of understanding, see Charlie Witham, University of the West of England, Bristol, "Leverage, Leaks and Liabilities: Holy Loch and the 'Special' Anglo-American Nuclear Relationship, 1960-1965," presentation at annual meeting of the Society for Historians of American Foreign Relations, College Park, Md, June 24, 2005. 21. For the agreement on air defense missiles, see "Checklist of Presidential Actions," at https://nsarchive.gwu.edu/nsa/NC/nuchis.html#usnhdp. For further details on the loose agreement over the Genies, see Clearwater, U.S. Nuclear Weapons in Canada, 20-32 and 52-59. 22. For the agreement by the Pearson government and the first deployments, see Clearwater, Canadian Nuclear Weapons: The Untold Story of Canada's Cold War Arsenal (Toronto: Dundurn Press, 1998), 27-54. For accounts of the negotiations, see Greg Donaghy, Tolerant Allies: Canada and the United States 1963-1968 (Montreal & Kingston: McGill-Queen's University Press, 2002), 101-103, and John Clearwater, U.S. Nuclear Weapons in Canada, 24-40. 24. Clearwater, U.S. Nuclear Weapons in Canada, 90, 154; Clearwater, Canadian Nuclear Weapons, 216. 25. For details on the W34 and B57 weapons, see Stephen Schwartz et al., Atomic Audit: The Costs and Consequences of U.S. Nuclear Weapons since 1945 (Washington, D.C., Brookings Institution, 1998), 88-89, and Clearwater, U.S. Nuclear Weapons in Canada, 210-211. 26. For storage of the nuclear depth bombs at St. Mawgan, see Joshua Handler and William M. Arkin, Nuclear Warships and Naval Nuclear Weapons 1990: A Complete Inventory, Neptune Papers No. 5, Greenpeace International, 1990, at http://www.fas.org/nuke/guide/nep5text.htm. Also on the ASW weapons and the U.S.-British-Netherlands, nuclear connection, see Robert S. Norris, Andrew Burrows, and Richard W. Fieldhouse, Nuclear Weapons Databook, Vol. 5: British, French, and Chinese Nuclear Weapons (Boulder: Westview, 1994), 85 and Duncan Campbell, The Unsinkable Aircraft Carrier: American Military Power in Britain (London: Michael Joseph, 1984), 93. 27. For background on U.S.-UK issues during this period, see Sylvia Ellis, Britain, America, and the Vietnam War (Westport, CT: Praeger, 2004), 118-132. 28. For details on the deployments, see, Robert S. Norris, William Arkin, and William Burr, "Where They Were," The Bulletin of the Atomic Scientists, 55 (November-December 1999) 26-35; "Secretary McNamara's Remarks to NATO Ministerial Meeting, December 15-17, Paris," Airgram CA-6436, 23 December 1964, in William Burr, editor, U.S. Nuclear History: Arms and Politics in the Missile Age, 1955-1968 (Alexandria, VA: Proquest/National Security Archive, 1998). 28a. It recently came to the attention of the editor that the State Department’s historical series, Foreign Relations of the United States, included a significant document on the selective release issue. An excised version of a memorandum to President Johnson from Secretary of State Dean Rusk and Secretary of Defense Clark Clifford, dated 16 March 1968, “Consultations with the Federal Republic of Germany on Nuclear Weapons Release,” [Document 25A above] discloses the basic features of a consultative arrangement that State and Defense thought were appropriate for a recommendation to West German officials. See FRUS, 1964-1968, Vol. XIII (Washington, D.C., Government Printing Office, 1995), 679-680 ( 3 January 2007). 29. The cable from the State Department, number 196674, that initiated the exchange has not yet surfaced: apparently, it raised questions about Schmidt's "indiscretion" with the British. 30. For deployments of nuclear-capable U.S. ASW forces in Bermuda, see Handler and Arkin, "Nuclear Warships and Naval Nuclear Weapons 1990: A Complete Inventory," at http://www.fas.org/nuke/guide/nep5text.htm. 32. For Super Antelope, or Chevaline, and its history, see John Baylis and Kristan Stoddard, "Britain and the Chevaline Project: The Hidden Nuclear Program," Journal of Strategic Studies 25 (Summer 2003): 124-155.